Two-Year Budget, Debt Deal: The House on Oct. 28 passed, 266 for and 167 against, a two-year fiscal deal between Republicans and Democrats (HR 1314) that would suspend the national-debt limit until March 15, 2017, to allow continued Treasury borrowing; raise statutory caps on discretionary spending by $80 billion through September 2017; increase emergency (deficit) spending for war and foreign affairs by up to $32 billion through September 2017; avert sharp increases starting Jan. 1 in many seniors’ Medicare Part B premiums and extend the solvency of the Social Security Disability Insurance Trust Fund. These and other spending increases would be offset by steps such as the sale of oil from government reserves and miscellaneous fee increases and bookkeeping changes, as well as by spending cuts in certain areas of Medicare and Social Security and in farm, student-loan and a variety of other domestic programs. No member spoke against the bill during floor debate. Renewal Of Export-Import Bank: The House on Oct. 27 passed, 313 for and 118 against, a bill (HR 597) that would renew the Export-Import Bank’s congressional charter after a four-month lapse and reauthorize the agency through fiscal 2019. This would put the bank back in the business providing taxpayer-backed financing to help foreign customers purchase U.S. products. A day earlier, bank supporters used a discharge petition signed by 218 members from both parties to overcome the opposition of hostile committee chairmen and bring the bill to the floor for this vote. Supporters hailed the New Deal-era agency as a job-creator, while critics said it distorts free markets by practicing “corporate welfare” and “crony capitalism.” Fewer than 2 percent of the bank’s transactions have defaulted in recent years, and it usually returns a profit to the Treasury even with an exposure of $100 billion-plus in taxpayer liability. 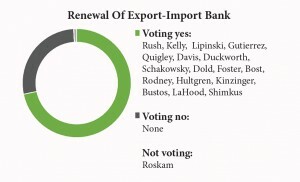 A yes vote was to reauthorize the Ex-Im Bank. 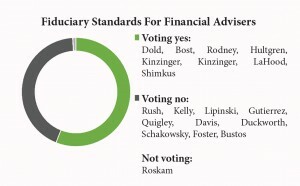 Fiduciary Standards For Financial Advisors:The House on Oct. 27 voted, 245 for and 186 against, to sidetrack a Department of Labor regulation that would impose fiduciary standards on those who sell financial advice to retail investors such as retirees with 401(k) accounts. These standards legally obligate advisers to put their clients’ interests ahead of their own in recommending financial products. The bill (HR 1090) would indefinitely delay a soon-to-be-implemented rule spawned by the 2010 Dodd-Frank financial-regulation law. Now, only some financial advisers and brokers are required by law to follow fiduciary standards when they provide personalized advice to clients. A yes vote was to send the bill to the Senate, where it is likely to fail. Cyber Attacks On America: Voting 74 for and 21 against, the Senate on Oct. 27 passed a bill (S 754) that would encourage companies struck by cyber attacks to voluntarily share sensitive data on the incident with federal agencies and other companies without fear of being sued over privacy violations. The objective is to enable the public and private sectors to band together in real time to counter ongoing attacks and prevent similar ones. Companies now resist sharing data with the government because of their need to protect customer privacy. 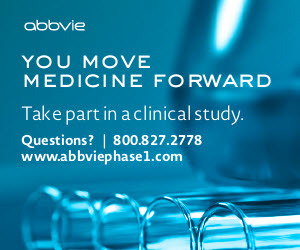 By adhering to steps in the bill, they would receive broad immunity from legal actions. The bill requires scrubbing to erase personal references from submitted data and routes the cleansed data through the Department of Homeland Security to defense and intelligence agencies. A yes vote was to send the bill to conference with a similar House-passed measure. Freedom Of Information Act: Voting 37 for and 59 against, the Senate on Oct. 27 defeated an amendment to fully apply the Freedom of Information Act (FOIA) to S 754 (above). This upheld broad FOIA exemptions that were secretly added to the bill by the Senate Intelligence Committee. Enacted in 1967, FOIA gives citizens the right to seek access to the records of all federal agencies, with certain types of information protected from disclosure for reasons such as privacy and national security. In addition to curbing public access to federal data about cyber attacks, the underlying bill would pre-empt state and local freedom-of-information laws concerning cybersecurity monitoring. Dianne Feinstein, D-Calif., said the amendment would make the law less effective in countering cyber attacks. 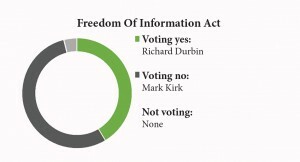 A yes vote was to remove freedom-of-information exemptions from the bill. 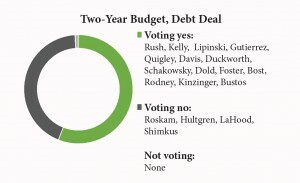 Two-Year Budget, Debt Deal: Voting 64 for and 35 against, the Senate on Oct. 30 approved a bipartisan fiscal deal (HR 1314, above) that would extend federal borrowing authority through March 15, 2017, and set higher spending levels through September 2017. 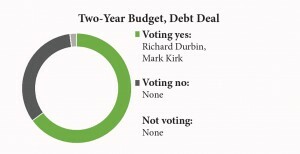 In part, the bill allows the national debt to rise above its current level of $18.2 trillion, increases military and non-military discretionary spending by $80 billion over two years and raises emergency war spending by up to $32 billion over two years. On its revenue side, the bill uses an array of spending cuts, fee increases, program changes and sales of government assets to offset nearly all of its spending increases. A yes vote was to send the bill to President Obama, who signed it into law.